Clients can obtain from us Iron Ores that are sourced from well-reputed vendors. Iron Ores offered by us are high on demand for their utility in diverse industrial segments. We make these available to the clients at industry leading prices. 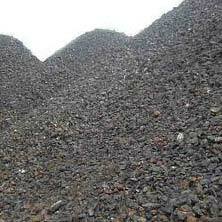 Consequently, we are identified as one of the renowned Iron Ores Exporters and Suppliers based in Singapore.